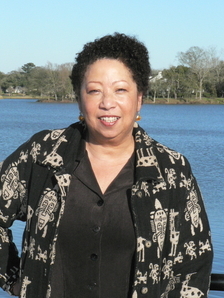 Meet Mona Lisa Saloy, Author & Folklorist, Educator, and Scholar. 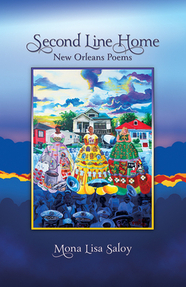 An award-winning author of contemporary Creole culture in poems about Black New Orleans before and after Katrina, as a Folklorist, Saloy documents sidewalk songs, jump-rope rhymes, and clap-hand games to discuss the importance of play. As a poet, her first book, Red Beans & Ricely Yours, won the T.S. Eliot Prize and the PEN/Oakland Josephine Miles Award and tied for a third. She's written on the significance of the Black Beat poets, on the African American Toasting Tradition, on Black & Creole talk, on conditions and keeping Creole after the devastation of Hurricane Katrina, and her new book, Second Line Home, is a refreshing collection of poems that captures the day-to-day New Orleans speech, contemplates family dynamics, celebrates New Orleans, and all in a way everyday people can enjoy.